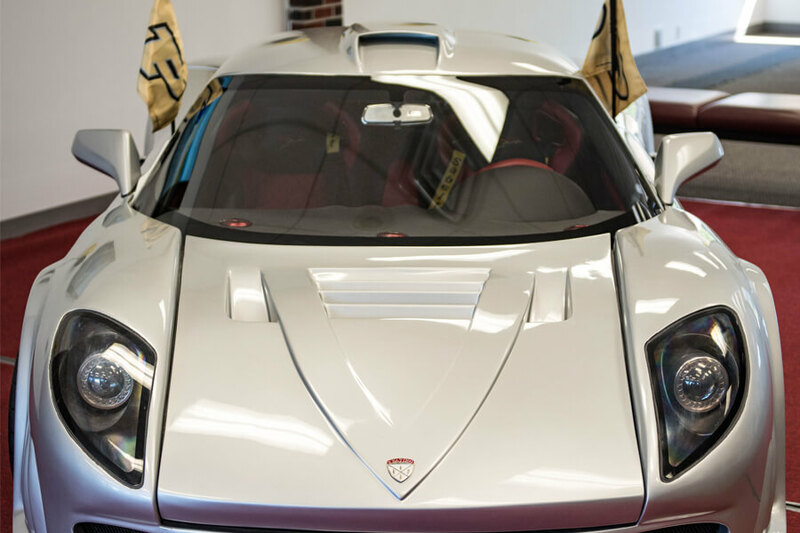 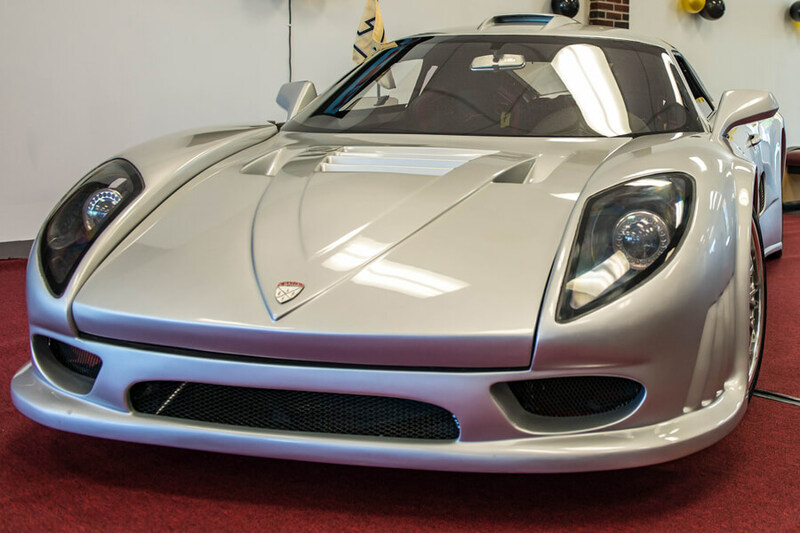 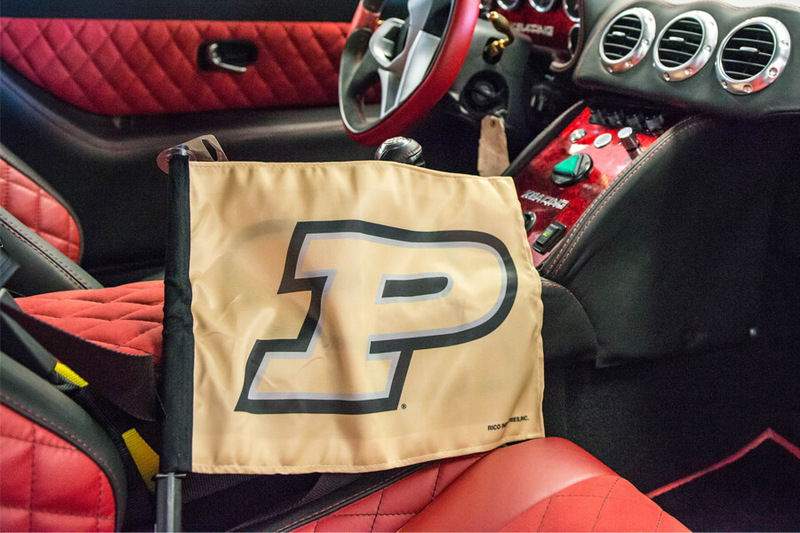 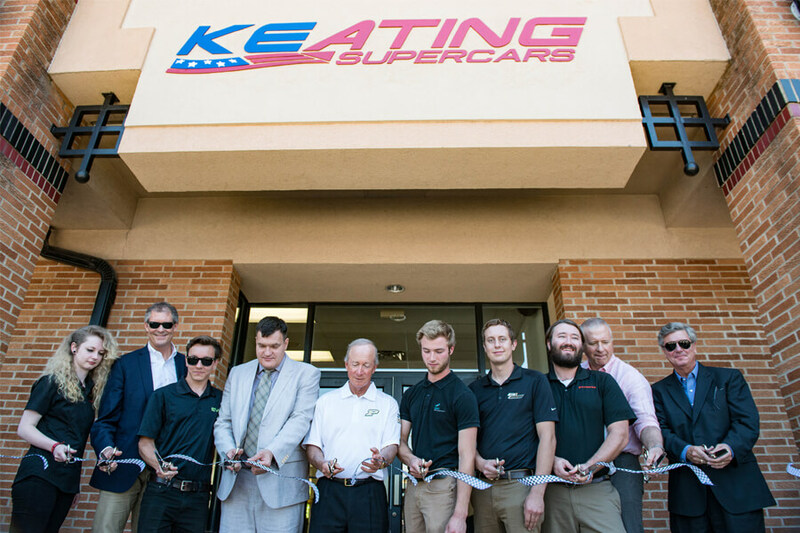 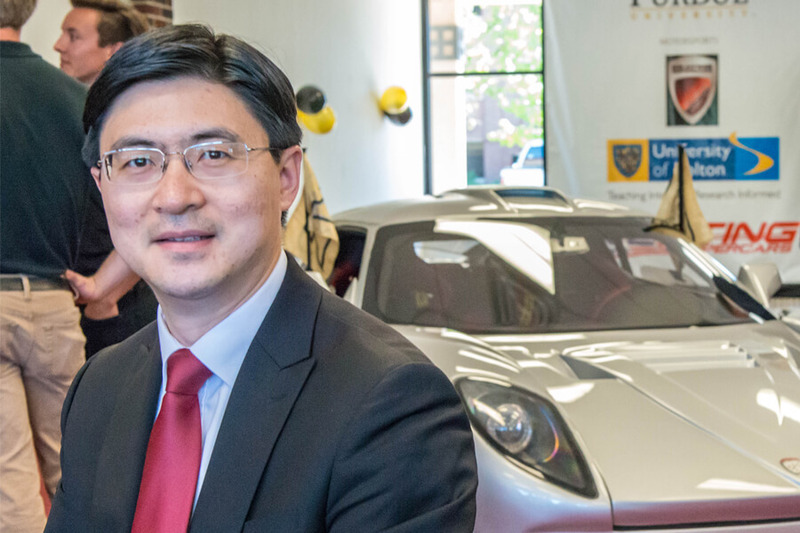 A ribbon-cutting ceremony took place at 11 am on Thursday, May 24, 2018 to celebrate the opening of a new Keating Supercars showroom on the west side of the Purdue University campus. 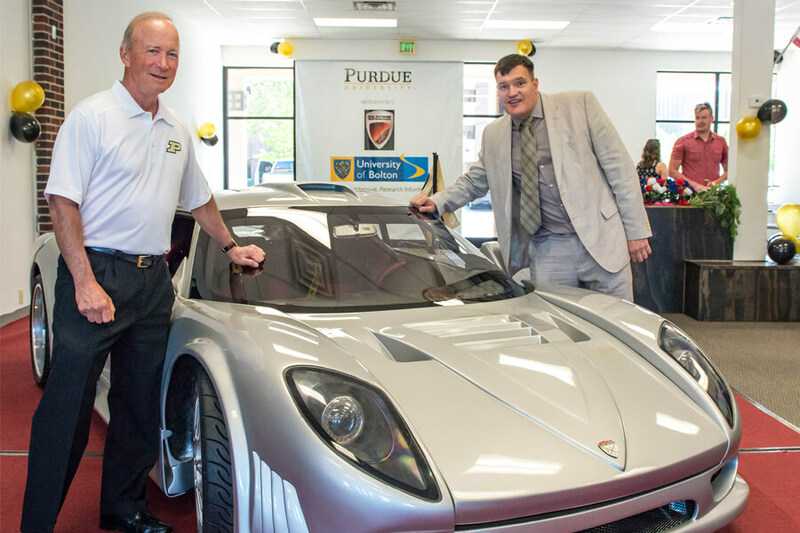 In attendance were Tony Keating, CEO of Keating Supercars; West Lafayette’s Mayor John Dennis; Purdue President Mitch Daniels; John A. Edwardson Dean of the College of Engineering Mung Chiang; the Gerald and Sarah Skidmore Professor in Chemical Engineering James M. Caruthers; Purdue’s Chief Entrepreneurial Officer Dan Hasler; Danny White, Director of Motorsports, Purdue Office of Engagement; University of Bolton Provost Zubair Hanslot; and Jasmin Holt, student at the University of Bolton. 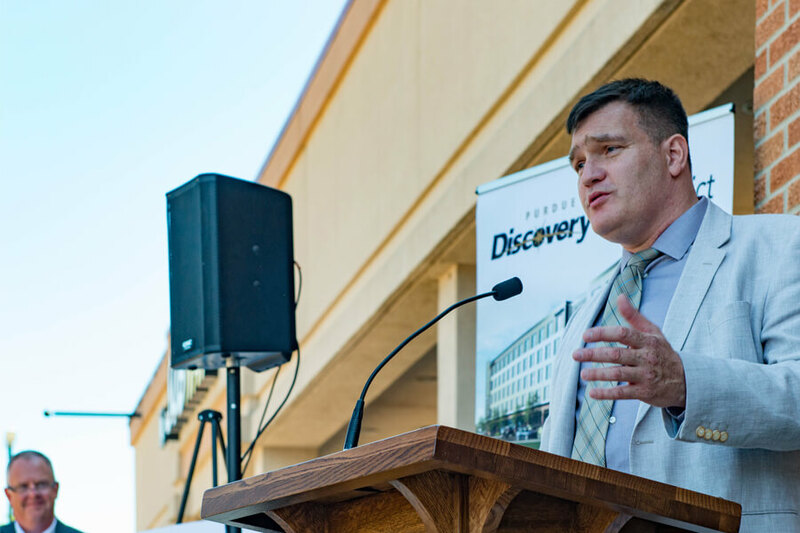 Paul Moses, Purdue Research Foundation Director, was the emcee. 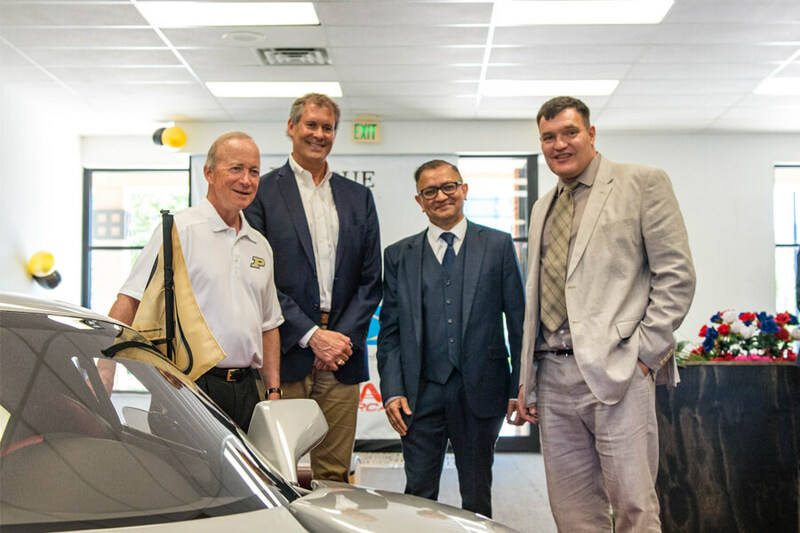 Ribbon cutting, from left: Jasmin Holt, Mayor Dennis, Steven Padilla (Mechanical Engineering), Tony Keating, President Daniels, Braden Legan, Max Frohnen, Brendan Bogan, Brian Edelman, Purdue’s Chief Entrepreneurial Officer Dan Hasler. 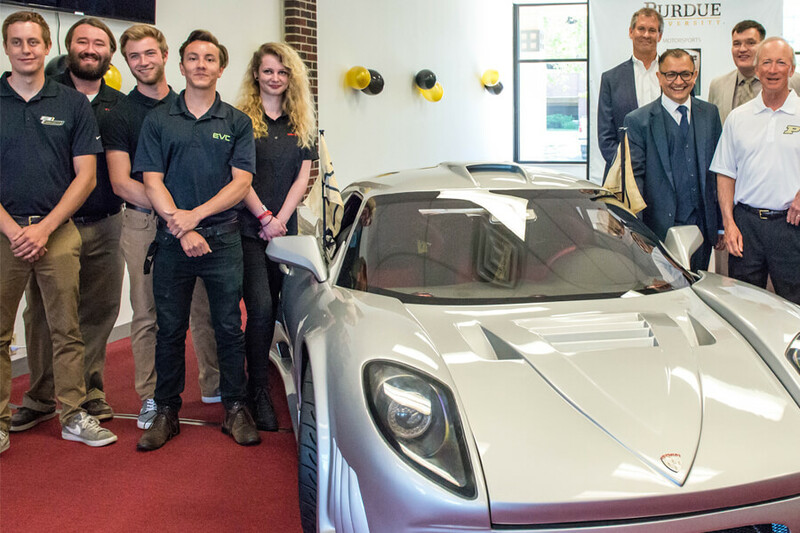 Left: students Max Frohnen, Brendan Bogan, Braden Legan, Steven Padilla, Jasmin Holt. 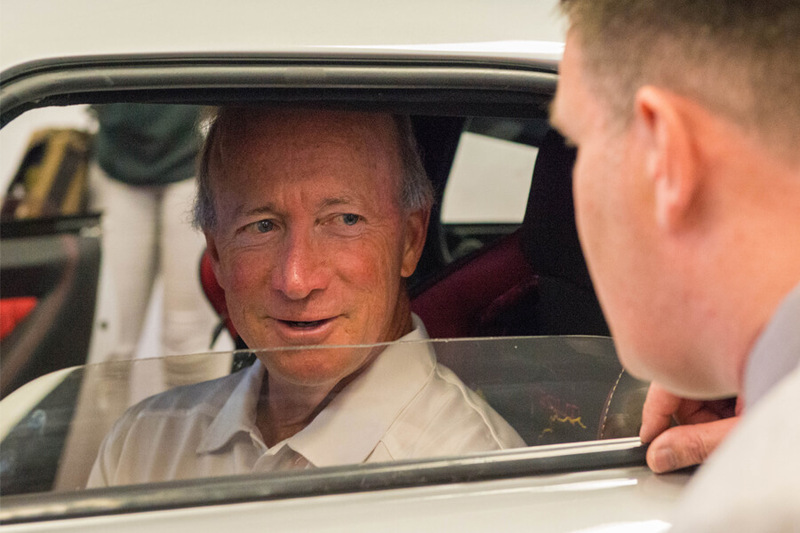 Right, front to back: University of Bolton Provost Zubair Hanslot, Purdue President Mitch Daniels, West Lafayette’s Mayor John Dennis, and Tony Keating, CEO of Keating Supercars.